Up until this year, Rabbi Nosson Potash used a pickup truck to haul his sukkah — a structure used in ritual celebrations of the Jewish holiday of Sukkot — to spots around Cole Valley. 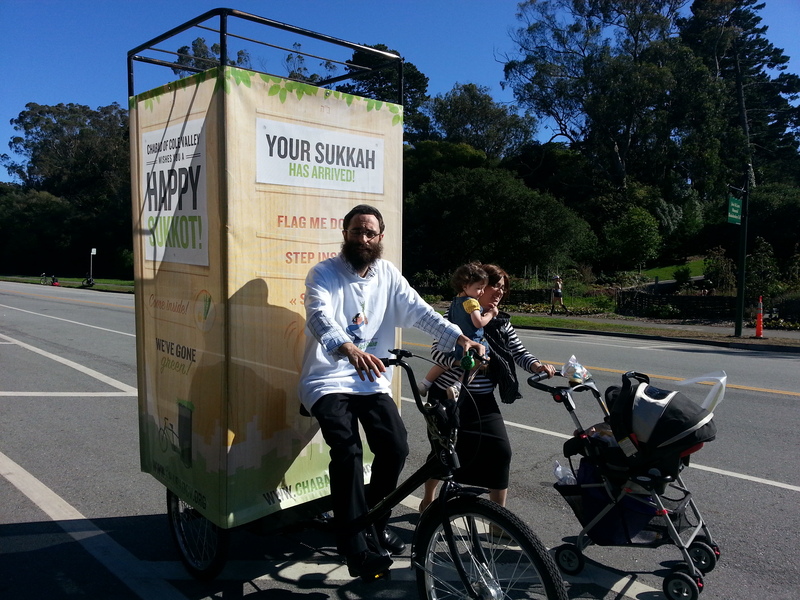 But now you’ll find him on the city’s first pedi-sukkah, a tricycle outfit he had shipped in from New York City. 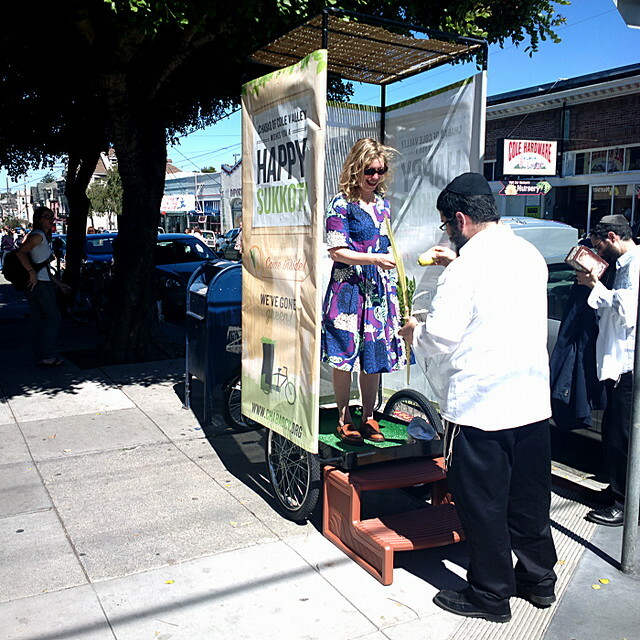 Potash was introduced to the idea of a pedi-sukkah by Katherine Roberts, a bike advocate who lives in Cole Valley. Roberts said Worksman Cycles, which stakes the claim as America’s oldest bicycle manufacturer, began producing them a few years ago, and that they’ve since become common in parts of Brooklyn. Pedi-sukkahs have since made it as far out as Portland, Oregon. “It puts out a much better message than using all this fuel and these resources that you don’t really need to use for this activity,” said Roberts. Potash explained that sukkahs provide observers of Sukkot, a week-long holiday, the type of “temporary hut” (a symbol of impermanence) in which to perform the harvest-based rituals. Potash has brought it to various spots around Cole Valley, the Upper Haight, and the Inner Sunset over the past week to provide that space for observers. He also brought it to eastern John F. Kennedy Drive in Golden Gate Park during its car-free hours, which wasn’t previously possible with the truck. Potash said he plans to continue using the trike for trips in running his Jewish community center. Next up – Catholic confessionals on wheels! I saw that when I was on the bus yesterday and was wondering what it was! This, however, is the real deal. Awesome post! Thank you Aaron….